Anheuser-Busch Brewery Tours – Tours run every 20 to 30 minutes, 9:30 AM to 5:00 PM, 7 days/week. FREE. 2351 Busch Drive, Fort Collins (970) 490-4691. Arvada Flour Mill – 5590 Old Wadsworth Blvd. Tours by appointment. For cost and details: (303) 421-4391. Astor House Museum – 822 12th Street, Golden (303) 278-3557 – Built in 1867 to accommodate legislators when Golden was the Territorial Capital and operated as a boarding house for more than 100 years. The Bee Family Farm is chock full of artifacts saved by Francis Bee himself. Bee Family Centennial Farm Museum — 4320 E. Cty Rd. 58, Fort Collins, CO (Larimer County). Listed in the National Register of Historic Places since November 25, 2002. Please visit the Bee Family’s website for information regarding this wonderful museum at: www.beefamilyfarm.org. Buffalo Bill Museum and Grave – 987 ½ Lookout Mountain Road, Golden, (303) 526-0744, Fee. Button Museum and Wholesale Warehouse – Reservations required a week in advance. Morning tours only. FREE. 1955 S. Quince Street. (303) 751-8100 ext. 125. Byers-Evans House – 1310 Bannock Street, Denver, Fee. Celestial Seasonings – Tours, 10 AM to 3 PM, Mondays through Saturdays, 11 AM to 3 PM Sundays. Groups of 8 or more require reservations. FREE. 4600 Sleepytime Drive, Boulder. (303) 581-1202. Centennial Village Museum – 1475 A Street, Greeley (970) 350-9220, Fee. Restoration village of 30 structures highlights life on the Colorado High Plains in all of its dimensions. Clear Creek History Park – 1020 11th Street, Golden (303) 278-3557. This 3-acre experiential education site includes original 1870s homestead cabins, an 1876 one room school, a replicated blacksmith shop, heirloom gardens and more. Colorado Capitol Tours – Tours 9 AM to 3:30 PM. Mondays through Fridays, 9:30 AM to 2 PM, Saturdays. FREE. Broadway and East Colfax Avenue, (303) 866-2604. Colorado History Museum – 1300 Broadway, Denver (303) 866-3682, Fee. Colorado Springs Pioneers Museum – FREE, 215 S. Tejon, Colorado Springs, (719) 385-5990. Coors Brewing Co., Visitors Center – Tours 10 AM to 4 PM, Mondays through Saturdays. FREE 13th and Ford Streets, Golden (303) 277-2337. Coors Field – Tours 10 AM to 3 PM, nongame days. Mondays through Saturdays, 10 AM to 1 PM on evening game days. No tours on afternoon game days. $6- adults, $4 – Seniors 55 and above. Reservations required. 20th and Blake Streets, (303) 762-5437. 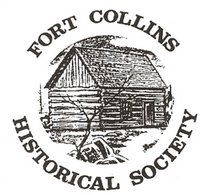 Colorado Historical Society – Walking tours of Denver historic districts, 9 AM to 11 AM, Saturdays through September 28. $5. Call for locations (303) 866-405-4761. Denver Firefighters Museum – 1326 Tremont Street, Denver, Fee, Guided tour, lectures and artifacts from 1866. (303) 892-1436. Denver Mint – Guided tours, 8 AM to 3 PM Mondays through Fridays. FREE. West Colfax Avenue and Delaware Street. (303) 405-4761. Denver Museum of Miniatures, Dolls and Toys – 1880 Gaylord, Denver (303) 322-1053. Unique museum is housed in the historic Pearce-McAllister Cottage. Enos Mills’ Cabin – Eight miles south of Estes Park on Colorado 7. For hours and cost (970) 586-4706. Forney Transportation Museum – 4303 Brighton Blvd. Denver, (303) 297-1113, Fee. The museum houses many one of a kind vehicles. Forney Museum of Transportation – Open 9 AM to 5 PM, Monday through Saturday, $6 adults, 4303 Brighton Blvd. (303) 297-1113. Golden Pioneer Museum – Guided tours, 10 AM to 4:30 PM, Mondays through Saturdays. Reservations required. 923 10th Street. (303) 278-7151. Governor’s Mansion – Tours 1 to 3 PM, Tuesdays through July 21, FREE. 400 E. 8th Avenue. (303) 866-3682. Hiwan Homestead Museum – 4208 S. Timbervale Drive, Evergreen, (303) 674-6262, Fee for large groups only. A 17-room log mansion with private chapel dating from the 1890s. Hotel de Paris Museum – 409 6th Street, Georgetown, (303) 569-2311, Fee. A building started in 1875 by Louis Dupuy as a souvenir of his native Alencon, France. Open daily in the summer, weekends in the winter. Lakewood’s Heritage Center – Tours, 10 AM to 3 PM, Tuesdays through Fridays, noon to 3 PM. Saturdays and Sundays. $3 adults. 797 S. Wadsworth Blvd. (303) 987-7850. Leanin’ Tree Museum of Western Art – 6055 Longbow Drive, Boulder, FREE. Reservations required. (303) 530-1442. A.G. Bimson’s blacksmith shop marks the entrance to the Little Thompson Valley Pioneer Museum in Berthoud. 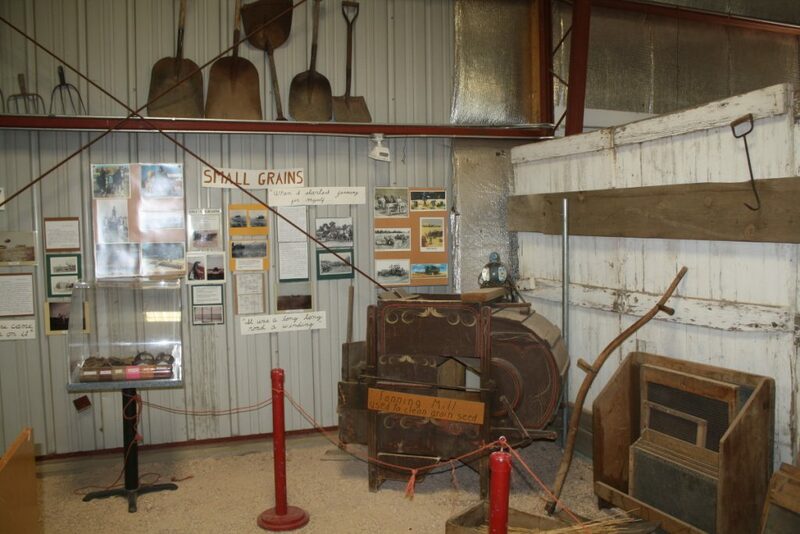 Little Thompson Valley Pioneer Museum – FREE. 228 Mountain Avenue, Berthoud, (970) 532-2147. 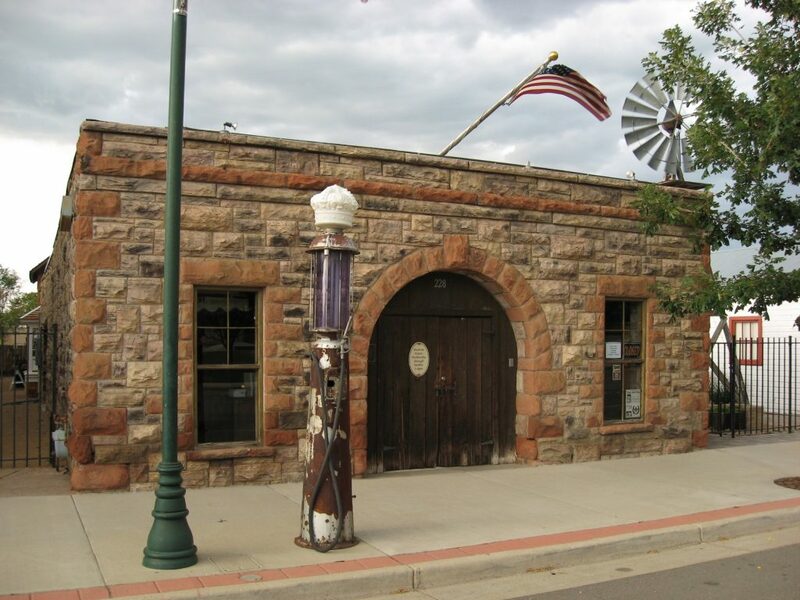 Littleton Historical Museum – 6028 South Gallup Street, Littleton (303) 795-3950, FREE. Provides a unique link between Littleton’s past and present. Includes two living history farms on 14 acres. Longmont Museum – Group tours available, 9 AM to 5 PM, Mondays through Fridays, 10 AM to 4 PM, Saturdays. FREE. Reservations required. 375 Kimbark St. (303) 651-8374. Loveland Museum and Gallery – 530 North Lincoln, Loveland, FREE (970) 962-2410. MacGregor Ranch – 1301 Clara Drive, Estes Park, (970) 586-3749, FREE. An original 1873 Colorado Homestead. McAlister House Museum – Fee, 423 N. Cascade Avenue, Colorado Springs, (719) 635-7925 – A step back in time to Victorian Colorado Springs (1873). Meeker Home Museum – 1324 9th Avenue, Greeley, FREE (970) 350-9220. A two-story adobe house built in 1870 by Greeley’s founding father, Nathan Meeker. Molly Brown House Museum – Guided tours 9:30 AM to 4 PM. Mondays through Saturdays, noon to 4 PM. Sundays. $6.50 adults and $4.50 seniors over 65. 1340 Pennsylvania St. (303) 832-4092. Morrison Natural History Museum – Tours, noon to 4 PM, Wednesdays through Saturdays, $2 adults and $1.50 seniors. South of Morrison on Colorado 8. (303) 697-1873. Rockies Brewing Co. – Tours, 2 PM Mondays through Saturdays, FREE. 2880 Wilderness Place, Boulder. (303) 444-8448. Rocky Mountain Quilt Museum – 1111 Washington Avenue, Golden, (303) 277-0377. Fee. The museum changes exhibits 5 times a year in 2 galleries. Stanley Museum of Colorado – History tours, 11 AM and 2 PM, 7 days a week. Ghost tours, 6 and 8 PM, Fridays and Saturdays – $10 for adults. Reservations required for all tours. 333 Wonderview, Estes Park (970) 577-1903. Stephany’s Chocolates – Guided tours, reservations required. FREE 6770 West 52nd Avenue, Arvada. (303) 421-7229, Ext. 111. Western Museum of Mining and Industry – Fee, 1025 North Gate Road, Colorado Springs, (719) 488-0880. Guided tours offered daily.